Just got my first haul from Sephora Philippines with 5% cashback through Shopback. I got really excited when I learned that Sephora site is now available in our country. I might be late but hey this can be a bright future for both of us. Beauty products are love! Haha When I reached my midtwentish age, I started to be more concerned and aware with my skin and my glow. We need to start taking care of our skin to look young and fresh as always. That's the reason for the beginning of being a beauty junky. 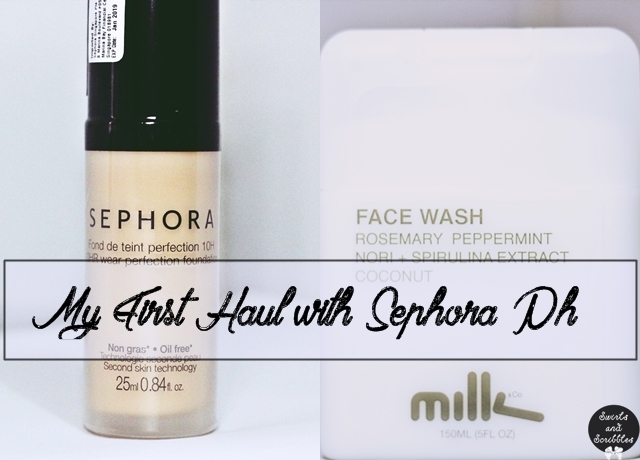 My first haul was the Sephora 10hr wear perfection foundation. I bought it because I am looking for a way to look blemish free and a long wear foundation to eliminate retouching my make up every now and then. Next, it will be the Milk Face Wash – Rosemary Peppermint Nori + Spirulina Extract Coconut. I am looking for a facial wash that will not make my face dry and flaky. Smooth skin is the best way to go especially for applying our makeup. It will look great. Less is more! I will write a separate post for the reviews of both products. By the way, I want to share a little discovery about a new way to save and to have extra cash when buying online goodies!!! Yes! It is true. I bought the products with shopback and I got a few pesos in return. Woooh! Amazing! 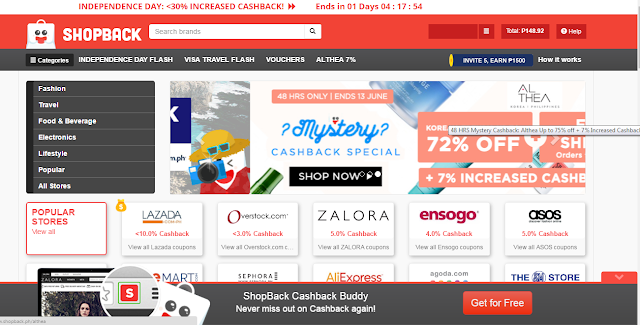 Online shoppers can enjoy discount or cashback when shopping with our favourite sites like Zalora, Lazada, Ensogo and many other online shops. Nagshopping ka lang, kumita ka pa!!! I can't wait for my next purchase.